It would be wrong of me to claim that this is a film review. If anything, it is a love letter. A love letter to the wonder that is cinema. The movies are the world’s great art form and quite often it is sold short. Sometimes by the people who watch the movies, who refuse to see something new that may not involve CGI robots or explosions. Sometimes by the movie industry itself, that incorrectly assumes that the cinema is about box office takings and keeping plots and methods of storytelling simple so then the audience doesn’t have to be inconvenienced by thinking. It’s devastating then that I will probably never watch it again. It is that unflinching and difficult to watch that even distant memories of it are haunting. While watching it in the cinema, it’s difficult to resist hiding your eyes behind your hands while trying to pretend you are somewhere else. It’s an appropriate sensation, considering that Solomon (Chiwetel Ejiofor) is probably feeling the urge to do the same thing as he’s left hanging by his neck in a field, his feet stuttering around in the mud as he struggles to breathe while his fellow slaves continue working, unable to come to his aid. The same can be said towards the conclusion of the film, when Solomon gives a long lingering look directly into the camera. Directly at the audience. He’s pleading for help and for mercy. It feels like he’s tearing out your heart. While the film covers a subject matter that requires a certain degree of sensitivity, director Steve McQueen handles it with intelligence. The plot itself is very simple. Solomon Northup is a carpenter and talented violinist living in New York with his wife and two children. He is approached by two businessmen who claim to be part of a travelling circus, and they want Solomon to join them as a professional musician. Flattered by their kindness and the opportunity, Solomon accepts their offer during a late evening meal. He drinks too much wine and gets drunk. When he wakes up, he’s in chains and being beaten for claiming to be a free man. Solomon is sold to a plantation owner called Ford (Benedict Cumberbatch). While some of of his experiences on the plantation are scarring and brutal, Ford is ultimately one of the more gentle owners. He encourages Solomon to use his mind and help improve the way the plantation works. Ford celebrates with his slaves when Solomon constructs a method for using the nearby river. He allows Solomon to have his violin back, and tells him he hopes to hear him play it soon. It’s as close to happiness as Solomon will get in his ordeal. Half way through the film, Ford is forced to sell Solomon to another plantation owner called Epps (Michael Fassbender), and that’s when Solomon’s real nightmare starts. Epps prides himself on beating and trying to break his slaves. If the weight of the cotton the slaves pick doesn’t increase every day, they get whipped. The majority of the film’s 134-minute length is dedicated to his time on Epps’ plantation. We mainly see his day-to-day life, where he works under the constant fear that violence and brutality is going to come his way. He and his fellow slaves never get a moment to think. They never get a moment to feel safe. They’re all living a life of fear and pain that seems to have only one escape route. Full credit has to be given to McQueen for the way he approaches this. He doesn’t opt to hint at the horrors or the fear. This isn’t supposed to be a fleeting sensation. This is a movie designed to linger and exhaust the audience. It is an exercise in raw human emotion. Solomon is a slave for 12 years, but with McQueen’s direction it feels like it could be a lifetime. At no point are we given any indication about how much time has passed. Given his situation, would Solomon know himself? We interpret the world through his eyes, and for that reason time doesn’t have any meaning. McQueen makes it clear that for him, an image needs to be more than just something to look at. It has to effect the audience mentally and physically in order to meet McQueen’s demands. Every single second of ‘12 Years a Slave’ is effecting. That’s a cinematic achievement that is rarely achieved. In a time when the majority of mainstream movies aim to impress and create awe with expensive but ultimately hollow images, it is something to be cherished when directors like Steve McQueen come along and make a movie like this. Movies after all are supposed to evoke the purest of human emotions, as indeed all art forms should. It’s not an easy thing to achieve, and when it happens, it like lightning in a bottle. It’s something that every screenwriter and every director should aim for. So, let’s all raise a glass. To Ingmar Bergman. To Stanley Kubrick. To Alfred Hitchcock. To Quentin Tarantino. To Steven Spielberg. To Martin Scorsese. To Christopher Nolan. To Park Chan Wook. To Steve McQueen. Here’s to the movies. 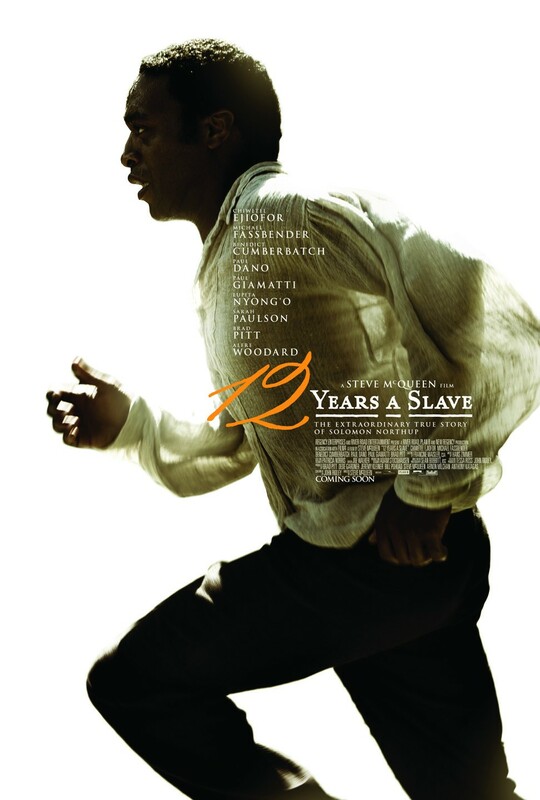 And to ‘12 Years a Slave’ – one of the greatest movies ever made.